For many visitors to the Phoenix/Scottsdale area of Arizona, location is the main draw. There’s no denying the attraction of spectacular Sonoran Desert scenery, breathtaking Camelback Mountain, and a sunny Arizona climate. All these natural features have spawned a huge resort community with world-renown golf courses and spas. Musical Instrument Museum—Fun for the non-musical visitor as well as those who play an instrument. Whether you know much about music or not, you’ll enjoy the diversity found in this museum. Learn about and hear musical instruments from every country in the world as they bring to life sights and sounds of different cultures. 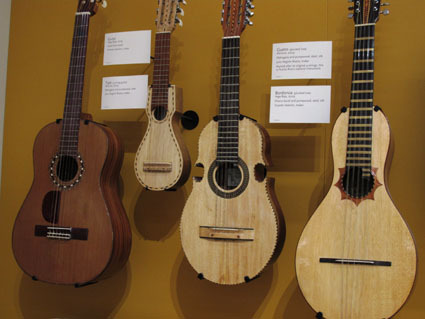 See guitars from the earliest models up to present day instruments. Listen to an antique organ, explore cultures through the sounds that represent their lives. Taliesin West—Built by Frank Lloyd Wright in the 1930s, this destination was constantly expanded and modified until the architect’s death in 1959. 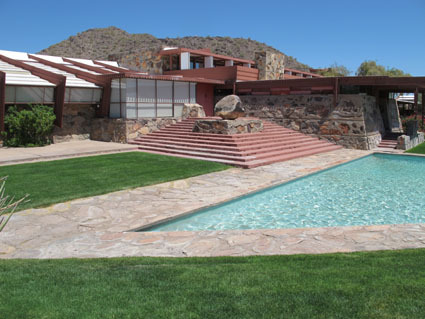 Regarded as one of his greatest masterpieces, Taliesin West was literally built out of the desert using rocks and sand to balance the design with the surrounding environment. Guided tours lead you through the buildings and explain Wright’s theories as brought to reality here. Architecture students still study the master’s organic principles of building in extended workshops. Desert Botanical Garden—The world’s finest collection of arid-land plants and wildflowers is displayed in a beautifully landscaped outdoor setting. Five thematic trails illustrate topics such as conservation, desert living, plants and people of the desert. 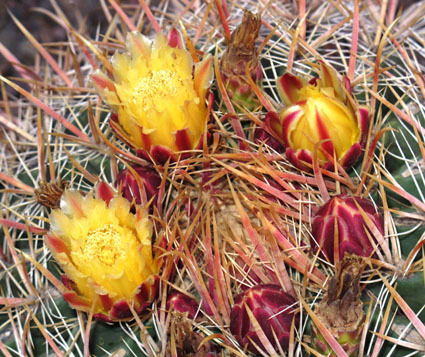 Rather than finding the garden a dry, barren plot of land, you’ll begin to appreciate how alive the desert is with colorful blooms and creatures. 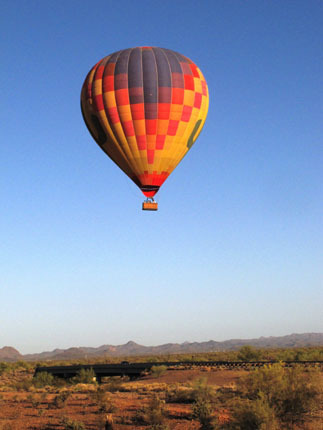 Hot air balloon ride—On this magical adventure observe the Sonoran Desert from above while drifting tranquilly on a sunrise flight. Feel the breezes while breathing in fresh air. Watch the balloon get inflated and then observe the captain masterfully use air currents to raise the wicker basket a mile above earth. Riding in the balloon’s basket is a thrilling experience and provides unobstructed views for the best photographs of this unique landscape (and a couple of jackrabbits scampering below). Afterwards, enjoy a traditional champagne breakfast on white-clothed tables set up where the balloon lands.